Whoa-hoo!!! 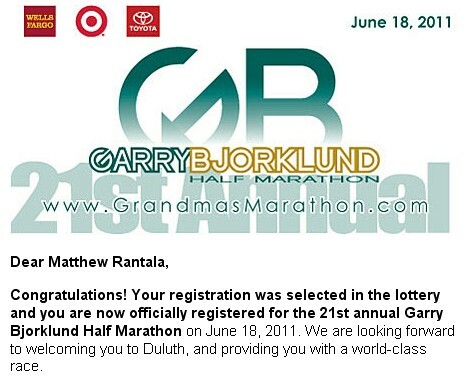 I received confirmation that my lottery entry into the Garry Bjorklund Half Marathon was accepted. Guess I know where I’ll be on June 18, 2011. I am relieved because I can now lay out my training schedule for the first half of the year. You are currently reading Garry Bjorklund Half Marathon-I’m In at Tundra Running.